Image size: 10X14. Pattern includes quilting guides. 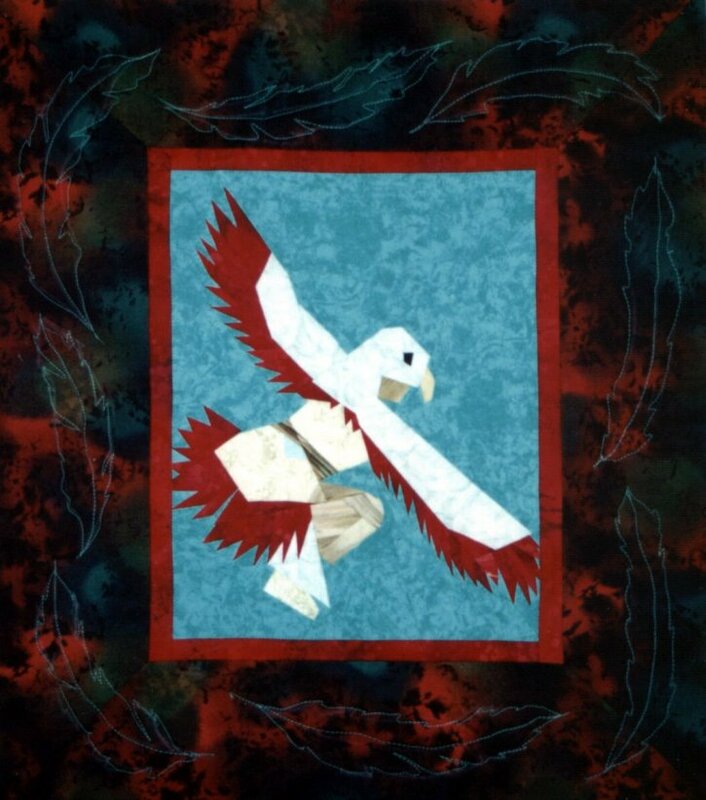 Surrounded by quilted feathers, this pattern would be great on pillows as well.